Spring is late to the Southland this year, and we have had long and tenacious winter (for Carolina, anyway). 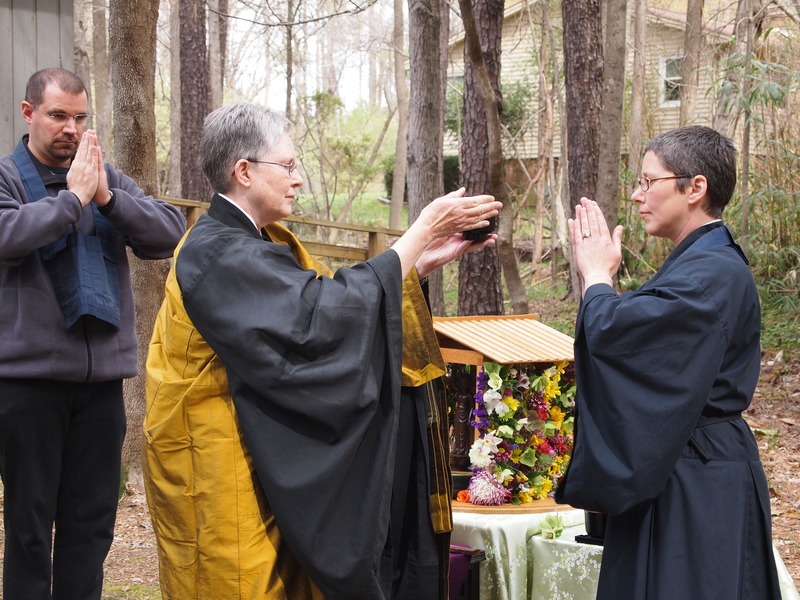 Buddha’s Birthday was celebrated earlier than in many years, on April 6, but was still a festival of flowers, bubbles, banners, and (potluck) food. 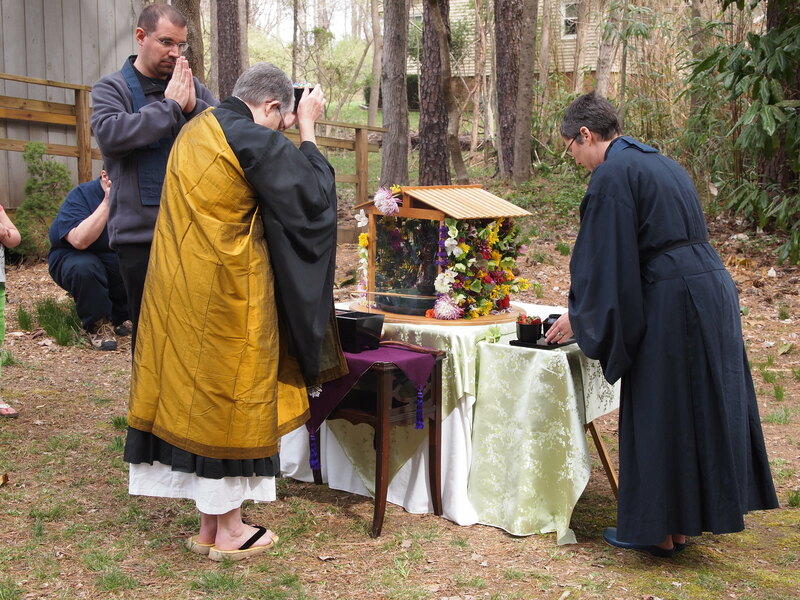 The event includes a short talk by Josho about the meaning of the Buddha’s birthday (how does a newborn take seven steps in each direction and make a declaration about who he is, anyway?). 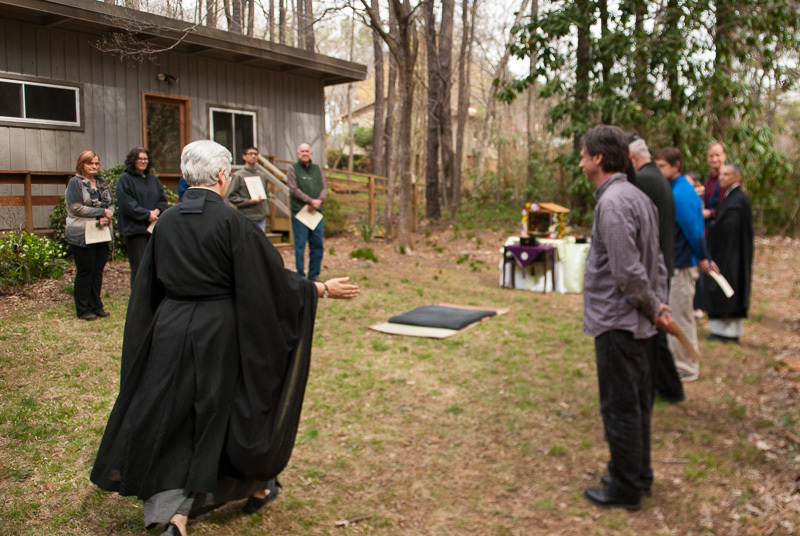 Then we move outdoors, the adults gather around a special altar in the backyard, and the kids parade around to join them on the wooded meditation path. Then, after an offering of sweet tea (regionally appropriate! 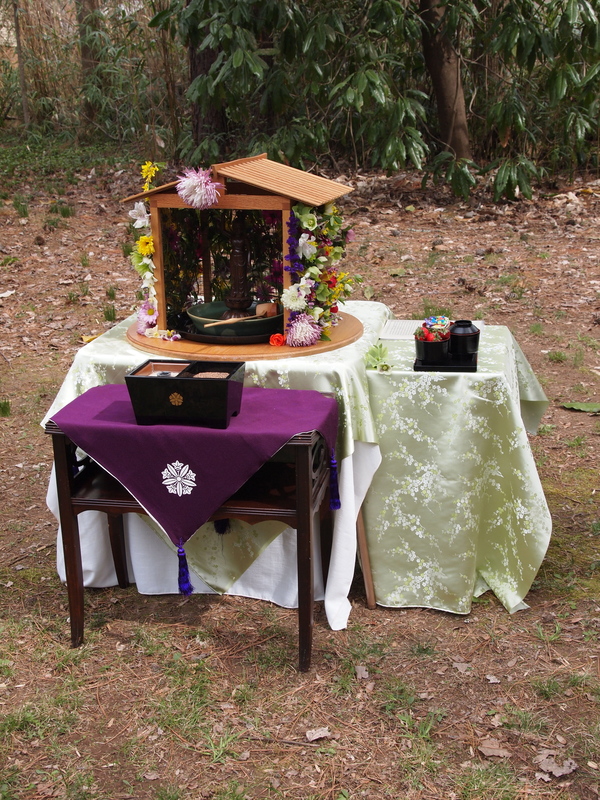 ), birthday cake and strawberries, everyone has a chance to offer incense and bathe the baby buddha in his flower pagoda with ladlesful of more tea. After that we had a wonderful potluck lunch accompanied by music from Kathleen and Trey Batson. 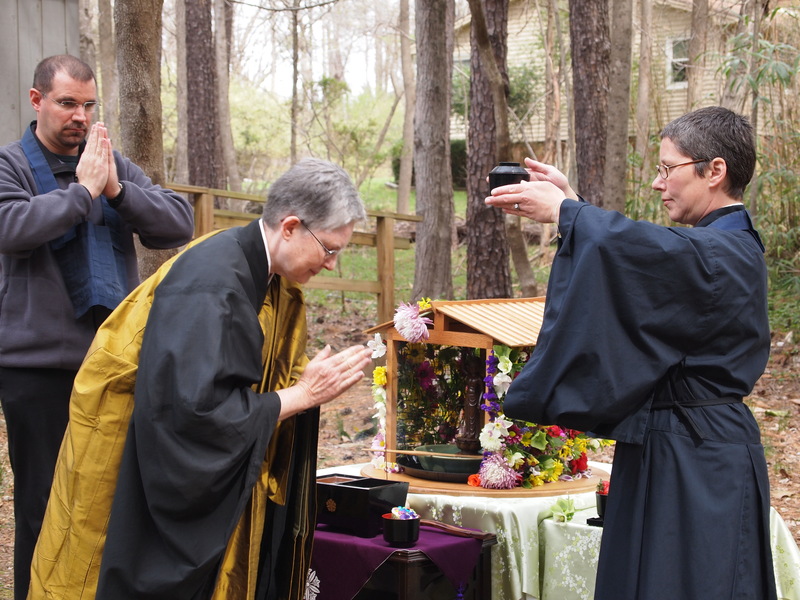 Cool outside but the sangha was not deterred…..